Our County Clerk has been doing some tinkering. The Harris County Clerk has spent hundreds of hours and millions of dollars to build, from the ground up, an electronic voter check-in system at the polls, Channel 2 Investigates has learned. “It’s taken more than two-and-a-half years. There’s been investments of more than $2 million, and we don’t really have anything to show for it yet,” said Adrian Shelley, Texas Director of Public Citizen, a citizen advocacy group. It is unclear how much more Stanart plans to spend to bring the project to fruition or how much the system will cost in annual maintenance. Stanart’s project principally consists of an iPad, custom software and a customized stand to hold the iPad. The finished product will alleviate long lines at voting locations by making the check-in process more efficient, Stanart has said. The clerk procured hundreds of individual parts for the project, including thousands of dollars of washers, magnets and foam. The purchase of 2,400 iPads was made in July 2015. The vast majority of those iPads stayed in a warehouse, unopened and unused for more than two years. Stanart has said he is now in the process of mating the iPads to his custom-built stands. He rolled out less than 100 of them in November for a test run. The county clerk has not publicized the results of that initial foray, but has said he plans the full implementation of his system in March’s primaries. 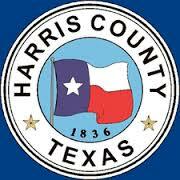 “I think most reasonable would say you probably shouldn’t have spent $1 million on iPads if you weren’t going to use them sometime soon,” Harris County Commissioner Rodney Ellis said. Both Ellis and Shelley said the idea of automating the voter check-in process is a worthy pursuit, but questioned why the project has not had more transparency. 1) Are we sure there wasn’t a commercial or open source solution out there? Even if it was more expensive, being able to deploy it in earlier elections would have mitigated the extra cost. 2) What oversight did this project have? I’ve been involved in some big projects in the corporate world. We have timelines, signoffs, approvals, all sorts of things to ensure that the people who need to know about it do know about it and know where it stands. How much has Commissioners Court been looped in on this? 3) Are there any design documents, or other technical descriptions of what this is, what it is intended to do, what the requirements are, etc etc etc? In other words, is it written down anywhere what to expect when this thing finally debuts? And if so, where is that? 4) Finally, not to put too fine a point on it, but what was the original budget for this, and how does that compare with what has actually been spent? Maybe this thing will be great, and maybe it will be a dud. The idea is a good one, but that means nothing if the execution isn’t there. It’s way past time for these questions to be answered. re: #1 – yes, there has been a commercial product available for years now. Stanart’s office led the push to update election law in 2013 in order to allow for electronic signatures, which enabled these products to be used in Texas. They were on full display at the annual election law confab after session. The leading vendor (Votec) is one the the Clerk’s office is very familiar with and uses a number of products from them. That’s not to say that Stanart’s desire for a better product isn’t valid. He actually has a good professional background for assessing something like this. But the fact that we’re five years beyond the point where he could have made something happen has to be chalked up as a failure.